If you watched television in the late 1980s, you probably remember the My Sister Sam TV show on CBS. The sitcom revolves around San Francisco freelance photographer Samantha “Sam” Russell (Pam Dawber). 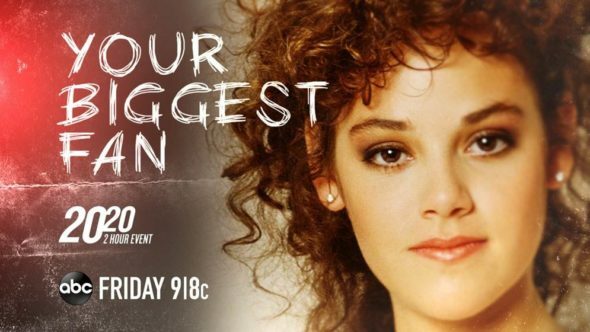 Sam’s world is turned upside down when her 16-year-old sister, Patti (Rebecca Schaeffer), comes to live with her. Others in the cast include Jenny O’Hara, Joel Brooks, and David Naughton. Executive produced by Diane English (pre-Murphy Brown), the series did well enough in its first season to be renewed but the ratings saw a big decline in year two and was cancelled in May 1988 with 12 installments left unaired. While My Sister Sam didn’t last, it looked clear that Schaeffer was destined for bigger things. Tragically, in July 1989, the actress was fatally shot by an obsessed fan in the doorway of her Los Angeles apartment. He had been stalking her for three years. Nearly 30 years after Schaeffer’s death, ABC’s 20/20 will explore this case. The episode airs tomorrow night, April 12th, at 9:00 PM. As celebrity stalkers regularly make headlines, a two-hour “20/20” documentary takes a look at one of the first celebrity stalking cases almost 30 years ago. Rebecca Schaeffer, a promising young actress known for her role on the hit sitcom “My Sister Sam,” was preparing to audition for the movie role of a lifetime, a part in “The Godfather Part III,” when her longtime stalker, an obsessed fan named Robert John Bardo, trekked across state lines and shot her point blank at the door of her Los Angeles home, killing her. “20/20” looks back at Rebecca’s life and budding career, and uncovers the details of Bardo’s fixation, exploring the startling truth behind what it’s like to have a stalker and how stalking laws have changed in the aftermath of Rebecca’s death. “20/20” airs Friday, April 12 (9:00 – 11:00 p.m. EDT), on ABC. “20/20” includes new interviews with actress Pam Dawber, star of “Mork & Mindy” and Rebecca’s co-star in “My Sister Sam”; director Brad Silberling, Rebecca’s boyfriend at the time of her death; Benson Schaeffer, Rebecca’s father; actress Dyan Cannon, who directed Rebecca in the film “The End of Innocence”; Erika Slezak, former star on the soap opera “One Life to Live,” Rebecca’s first TV show; and Marcia Clark, former Los Angeles prosecutor who successfully prosecuted Bardo for Rebecca’s murder and later became well-known during the O.J. Simpson trial. The documentary also features a new interview with Olympic gold medalist Shawn Johnson, who opens up about what it’s like to come face-to-face with a stalker, 10 years after her stalker made headlines when he traveled across the country and broke into a Los Angeles studio lot to find her, with two loaded guns in his car. What do you think? Do you remember Rebecca Schaeffer or the My Sister Sam TV show? Will you watch this installment of 20/20 on ABC? The unaired 12 CBS episodes were being shown on the USA network beginning in June of 1989, and there was some hope that they might lead to a series revival for the show. The day of her death, a brief elegy aired before the episode that premiered on that date. I remember her and was in my 20’s also at that time. This was hard to watch. We still need more gun laws. Most celebrities now have a lot of security. The average woman under domestic violence needs more protection.